There are two locations found in Aizanoi where Roman baths were situated. 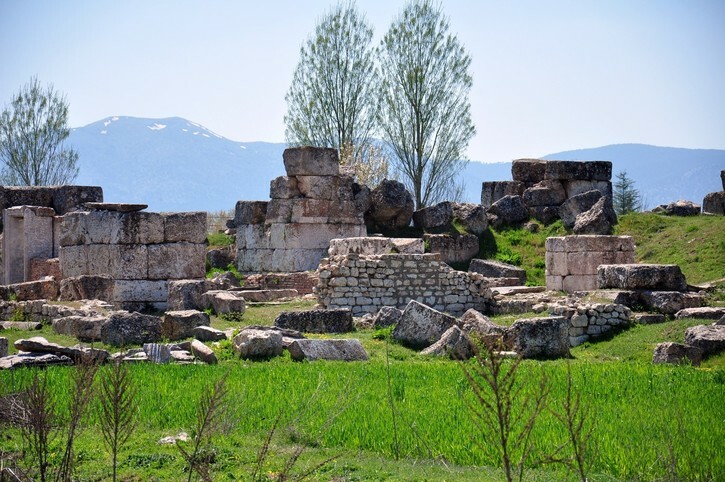 The first one is next to the road that leads from the Zeus Temple to the complex of stadium-theatre and the second one - in the area of modern Çavdarhisar village. Both structures were erected in the 2nd century AD. The access to the bath near the complex of stadium-theatre is unlimited, but in order to see the mosaics that decorate the baths in the village centre the site guardian should be consulted.